Updated: 11:30 p.m.: People with brand-new virtual reality headsets were able to watch a 360-degree view of Tuesday night's Democratic debate. CNN produced a virtual reality version of the debate telecast, marking the first time that a news event was live-streamed to the Samsung GearVR headset. There were four special VR cameras installed in the debate hall. While wearing a headset, "you are the cameraperson," said DJ Roller, the co-founder of Next VR, CNN's partner for the live-stream. "You can look around wherever you are." Two of the cameras were installed near the questioners, allowing VR viewers to see how the candidates reacted to each other. Another camera was right behind the candidates' podiums. And the fourth camera was embedded in the seating area. "You'd probably get attacked by the Secret Service if you tried to get as close as these cameras," Roller quipped before the debate. CNN's press release about the live-stream promoted it this way: "Each and every viewer has a seat in the room and a new perspective on presidential debates." Tuesday's stream was a milestone for CNN and also an important demonstration of VR technology. Most people have never tried it before. But a successful debate live-stream had the potential to garner positive press and generate more momentum for the medium. David Cole, the other co-founder of NextVR, estimated that 100,000 to 200,000 people own one of the necessary Samsung headsets and smart phones. If you had the gear on Tuesday night, you could put it on and open up NextVR's application, where the debate stream was featured front and center. At the debate site in Las Vegas, "we've built a whole separate TV production inside the TV production," including a separate control room, Jason Farkas, the executive producer of CNNMoney, said Tuesday. 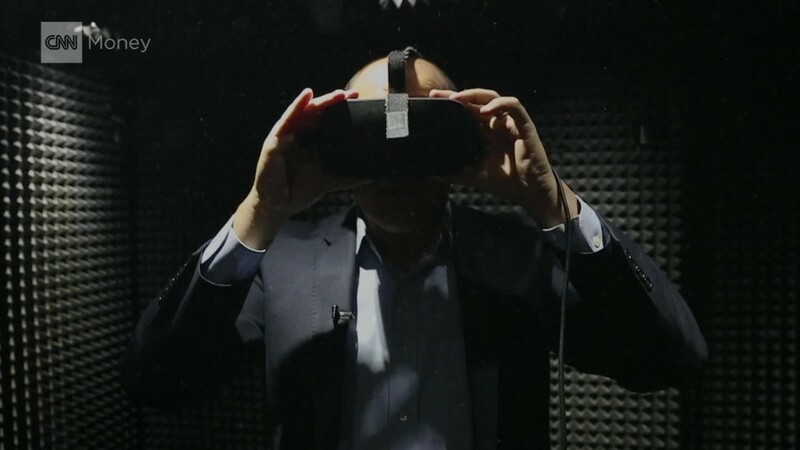 He compared the four VR cameras to "four different seats in the audience" for viewers to virtually sit in. During the debate, Farkas tweeted that users in 73 countries were logged on the VR stream. CNN tested VR cameras at its Republican presidential primary debate on September 16. It condensed the three-hour debate into a nine-minute highlight reel that can also be viewed through the Next VR app. Mashable's Jason Abbruzzese, who reviewed it, said "it is a completely unique experience." He wished it were higher-resolution but said, "You very much do get the sense of being there, with an ability to look at the audience, the moderators and even the other candidates as they react." Several sporting events have been live-streamed in VR this year, including a soccer match back in July. Streaming a live news event "begins to diversify the platform and widen the net," Cole said in a phone interview from the debate site. Many major media companies are exploring how to harness the new technology. VR apps for Netflix, Hulu and Vimeo were announced last month. ABC News published a virtual reality tour of Damascus, Syria, last month as well. And last week DirecTV launched an app that lets viewers watch highlights from a Vegas boxing fight.